Every IBS sufferer wants to know the answer to the question “What causes IBS?” There is an answer, but it isn’t as simple as a Google search might lead you to believe. The answer you’re most likely to see online is that there is no known cause for IBS. Not only is this what WebMD will tell you, but also what you may have heard from your primary care doctor or a gastroenterologist. The important thing to remember is that none of these sources are IBS experts – but we are at the IBS Treatment Center. A doctor that specializes in IBS knows that IBS isn’t a single definable condition. Instead, it’s a label for a broad spectrum of digestive issues. And there are different solutions to the different issues lumped together under the IBS label. This is the second most-asked question that we encounter. Many advertisements and websites claim that they can treat your IBS – but they are only ever looking at a small part of a complex condition. Like a blind man trying to describe an elephant but only touching the trunk, they only address one possible component of a much larger syndrome. Many of these treatments don’t even address a cause but focus on a symptom. The best example is many of the drugs used to treat IBS. Most of these force a change in your biochemistry or physiology to change your symptoms but don’t address the underlying cause of your problem. You never really heal, and you’ll always have to take them. Other treatments may address a potential cause, but they can be equally ineffective because there are so many different causes that you may be targeting the wrong one. The IBS Treatment Center delivers standout results because we can define the cause and target treatment at it instead of at symptoms. We have helped 1000’s of patients cure their IBS. You can read some of their stories here. Most people with IBS have several underlying causes working together that trigger their symptoms. Even if you find one cause, addressing that in isolation may not give you the relief you need. At the IBS Treatment Center, we piece together the entire puzzle. Here’s a look at some of the causes of IBS, which will give you an idea of the complexity of this illness. Bear in mind that some of these “causes” are legitimate medical concerns and some are little more than unproven theories that make headlines. 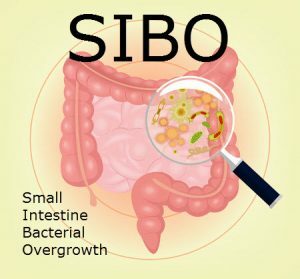 SIBO is a potential cause that has gotten a lot of press lately. The concept is that you have too much bacteria growing in your small intestine and it causes you to not digest food properly. This is a potentially valid problem, but it is complex. The theory is that you should NOT have bacteria in your small intestine. This is a false assumption. Everyone has bacteria in the small intestine and you need that bacteria. However, it is possible to have excess bacteria, or the wrong kind of bacteria, although it’s not as common as proponents of this theory claim. Testing for SIBO is also challenging and fraught with errors. At the IBS Treatment Center, we are experts at diagnosing the cause (or causes) of your IBS and developing a tailor-made treatment regimen that is NOT based on theory, guesswork, or assumptions. Contact us with your SIBO questions today. Probiotics are all the rage these days in the world of supplements and “natural” living. They claim to balance out good and bad bacteria in your body. Probiotics are advertised as a solution to aid proper digestion and to keep your gut healthy. Your digestive tract is loaded with good bacteria, most of which are not in probiotic products. There is potential value in using a targeted probiotic at the proper time, but you’re just as likely to cause digestive symptoms as cure them by taking probiotics at random. Probiotics come in a variety of types and no two products are alike. So how do you know which to take, how much to take, and for how long? Treating your IBS should not come down to choosing bottles off the shelf. 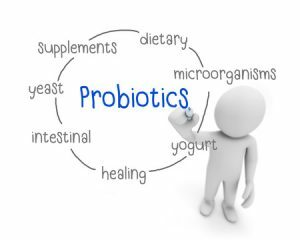 Need help with probiotics? We can help. Click here. The gluten-free craze is helpful if you happen to have a gluten intolerance or celiac disease, and it’s important to note that celiac disease is just the tip of the gluten intolerance iceberg. If your doctor has tested you for celiac disease and told you that you’re not gluten intolerant, that may not be true. We are experts in this issue and can help you understand the difference between the two and determine whether you not you still should avoid gluten. 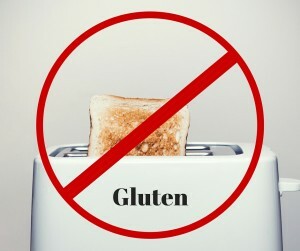 It’s a very important topic, but the fact is most people are not sensitive to gluten. If avoiding gluten helps you to feel better or to eat healthier, that’s a good thing. However, it’s increasingly easy to avoid gluten yet still have a lousy diet. More gluten-free processed foods and junk food alternatives come out every day. Just because you avoid gluten doesn’t mean you’ll be healthier. And gluten is just one of a great variety of foods to which you could be reacting that may cause your IBS symptoms. Understanding whether or not you are gluten intolerant is important, and we can help you with that, but we’ve learned that it’s no more important than any other food allergy or intolerance. If going gluten-free hasn’t helped your symptoms, there is still plenty of hope. Come to the IBS Treatment Center for a comprehensive diagnosis of your symptoms and their cause. You can’t just solve inflammation by taking supplements that are supposed to be good for reducing inflammation, or by decreasing your intake of foods that might be contributing to inflammation. You have to know exactly what is causing the inflammation. Only then can you properly treat it and permanently resolve your IBS. There are hundreds of different things that can cause inflammation in the digestive tract and lead to IBS, which is why you need an IBS expert to help sort out this problem. Call us. We can help you do that. Post-infectious IBS is exactly like it sounds. It’s when your IBS seems to start after an infection. Enough people have noticed that their IBS has flared up after experiencing an infection in their digestive system, such as the stomach flu or food poisoning, that this diagnosis was created to define this group of IBS patients. It sounds very important and interesting, but is it going to help you get better? Chances are it won’t. Your stomach flu or food poisoning are probably gone, but your IBS is not. Something else is going on. There is always more to this picture than meets the eye. Most people recover just fine when they get the stomach flu or food poisoning. But why haven’t you recovered? You need someone to help you figure out why you haven’t yet recovered, and how to do just that. At the IBS Treatment Center, that’s exactly what we do. Leaky gut syndrome is real. Yes, it really is. We’ve dealt with it hundreds of times. But what does it mean? And how do you cure it? There are all kinds of descriptions for leaky gut that you can find on the internet. But what it really comes down to is that it’s a fancy way of saying that your digestive tract is experiencing inflammation. This cannot simply be cured by taking a few supplements, and there is no cure-all for a leaky gut. You have to figure out exactly how it got leaky in the first place and address the cause of the inflammation/leakiness. If you don’t properly diagnose the cause, then you will never get better and you will waste a lot of money trying to put a bandage on it. When you think about it that way, you realize that it’s also just another fancy way of saying that you have irritable bowel syndrome, which means you’ve come to right place. Let us help you sort out the cause of your leaky gut. Food allergies, food intolerance, and food sensitivities are all potential causes of IBS and are far more common than most people (or their doctors) may realize. These can involve virtually any food. Food reactions are tricky because there are many reasons a food may cause digestive symptoms. 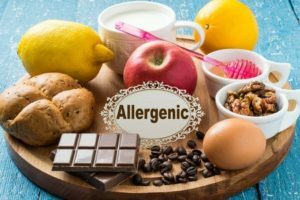 You may have an actual allergy to the food, an intolerance, or you may struggle to digest a food due to other issues – and it can be a combination of these things. Correlating IBS symptoms to specific foods can be extremely difficult and elimination diets are very challenging. There are many tests for food reactions but they vary in effectiveness and quality, as do the labs that run them. We test the labs, so we know. Other doctors cannot say that. Few doctors understand them all well enough to help you, but the experts at the IBS Treatment Center do. Contact us for food allergy help today. 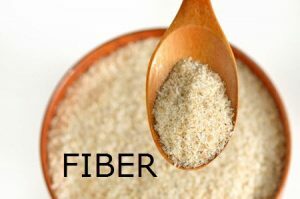 Fiber is a long-standing hot button issue in the IBS world including endless talk about soluble vs. insoluble fiber. Which is best and how much should you take? Fiber may help symptoms but, like probiotics, fiber can also cause just as many digestive problems as it solves. By taking fiber to treat IBS symptoms, you could be worsening your condition and adding another issue to address. Most fiber products also contain other ingredients that can upset your digestive system. And even if it helps, the real question is, are you treating the symptom or the cause? Most people don’t need lots of excess fiber, but it might help your symptoms. If it helps, great. Getting to the root cause of the problem is the better solution. That’s what we do at the IBS Treatment Center. We find the cause and treat it effectively, contact us for help today. Motility disorders, including gastroparesis, are defined by the speed at which food is moving through your digestive tract. If you have diarrhea, then you have fast motility. If you have constipation, then you have slow motility. This should seem obvious. But the medical system has some fancy ways to measure motility, making it seem like there is more to it than that. 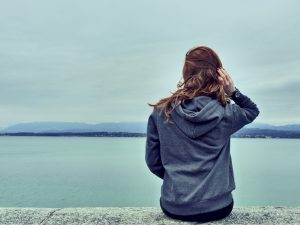 Unfortunately, the downside is that many people are left believing that they acquired a motility disorder and can’t do much about it, leaving them with IBS. In our experience in most cases, it’s the IBS that is causing the motility disorder and not the other way around. Most people who are suffering from motility disorders are able to regain normal motility. Contact the experts in helping people re-establish gut motility. 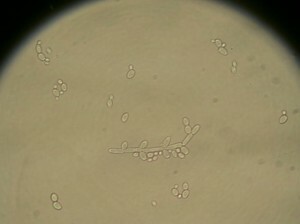 Candida is a type of yeast and a common cause of many fungal infections. It’s another fad in the IBS conversation that is a bit of truth mixed with many misconceptions. Candida can cause digestive problems and cause you to react poorly to many foods you eat. Candida can be very difficult to test for and diagnose. Plus, the symptoms of Candida mimic many other conditions, so it can be tricky to pinpoint. To complicate matters, many diagnostic tests aren’t nearly as accurate as they claim. Candida is a potential factor in IBS but is complex. Candida is also difficult to treat. Looking online to learn how to treat Candida often leads to more questions than answers. Instead, work with an expert at the IBS Treatment Center to address whether you have Candida and how to treat it. This is an oldie, but a goodie? 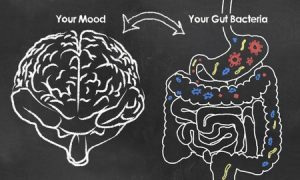 The theory is that there is a disconnect between the neurological system in your gut (sometimes called the second brain) and your “mighty” brain (the one you’re using to read this article) that impacts your digestion. The theory relies on treating the emotional “disconnect” medicinally. The idea that your gut went rogue and must be kept in line with medication is a poor theory at best yet it’s been popular for decades. Your digestion can certainly be influenced by your emotions, but like many approaches to IBS, this is treating a symptom, not the cause. And treating the symptoms rather than the cause is not a recipe for long-term success. Come to the IBS Treatment Center to learn facts about your illness, not unproven theories based on pseudo-science. EPI stands for exocrine pancreatic insufficiency. It’s a fancy long way of saying that you don’t have enough pancreatic enzymes. Enzymes are vital for digesting food, and the symptoms of EPI can mimic those of IBS, so it’s another problem that can be part of the IBS milieu. However, treating this problem with enzymes when you don’t need them can mask other problems, so it’s important to consider not only EPI but the rest of the IBS puzzle. It’s the old chicken and egg problem commonly seen in standard approaches to IBS. Which came first, the EPI or another issue that is now causing your IBS? At the IBS Treatment Center, we can help you to sort this out and get you on the right treatment plan to optimize your digestive health and decrease your need for medications. Yes, it can certainly have a strong genetic component. However, the good news is that doesn’t mean that you can’t rewrite the story and change the ending of your story. This doesn’t mean manipulating your genes. It means sorting out the cause of the problem and understanding the trigger. Then you won’t have to suffer like everyone else in the family. Just because digestive problems run in your family doesn’t mean that you can’t get better. In fact, in our experience, you’re just as likely to get better as our average patient (which means that you have a really good chance! ), and the rest of your family will probably learn some valuable lessons from the process too. You may very well change everyone’s life, not just your own. Stress is one of the easiest things to blame for your IBS, if only because it’s super-common and rarely questioned. Excessive stress and tension are definitely bad for your health – when can they ever be good for you? But plenty of people have stress and NO digestive problems. It’s not a simple cause and effect. If you have IBS and experience stress, it’s not unusual for the stress to trigger worsening symptoms. This doesn’t mean that stress caused your problem, but it can certainly exacerbate your symptoms. Treatment for stress, including hypnotherapy (another IBS treatment), can have a positive effect – it never hurts to find ways to deal with stress. 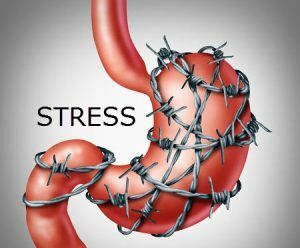 Stress is likely not the underlying cause of IBS – it’s more likely that IBS is the cause of stress. Come to the IBS Treatment Center to learn more. As you can see, it’s a complex puzzle with a variety of intricate and potentially interrelated causes, many of which aren’t even addressed here. But make no mistake, there is definitely a cause. If you have a digestive problem that no one has been able to help you with, don’t give up. The experts at the IBS Treatment Center appreciate and understand these issues and can help you sort through possible causes to piece together your digestive puzzle. We have a success rate that is unmatched and have helped more than 5000 patients conquer their IBS. If you have been diagnosed with one of the causes listed above, come see us for a second opinion. Don’t let IBS control your life – come to the IBS Treatment Center for the answers you deserve and life-changing treatment. Call (888) 546-6283 to schedule a consultation with one of our IBS experts at our Seattle or Santa Monica locations. We’ve helped patients from all over the world and are ready to help you too. Call now.